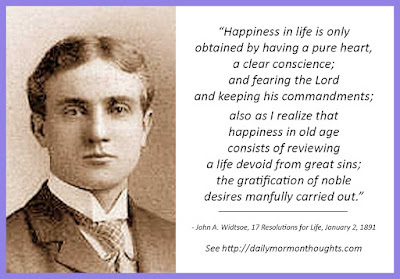 Elder John A. Widtsoe (1872-1952) was born in Norway. He was raised by his widowed mother who immigrated to Utah when John was 11. 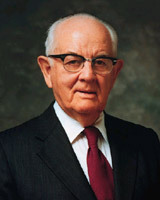 He was educated at Harvard and in Europe, and had formative roles in programs in several Utah universities including BYU. 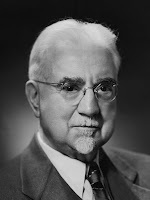 He served as an apostle from 1921 to his death in 1952. 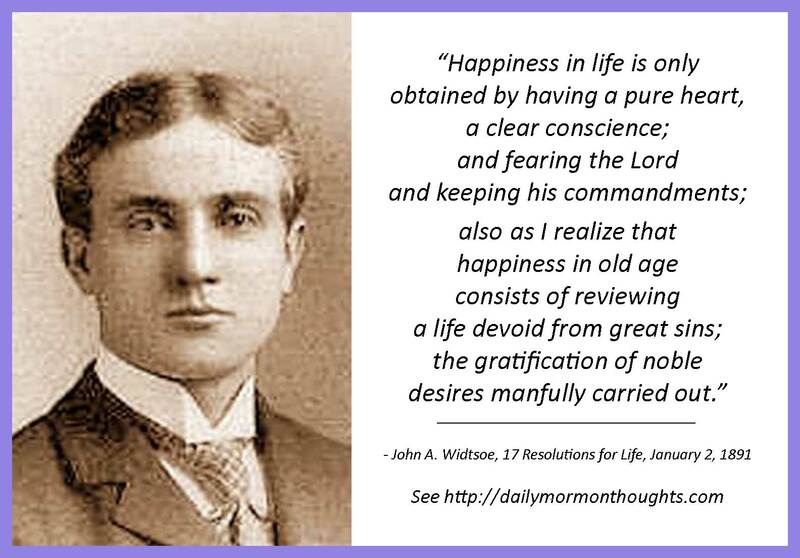 "As I have come to fully realize; that, I am as weak as all other mortals—perhaps weaker than many; and realizing that happiness in life is only obtained by having a pure heart, a clear conscience; and fearing the Lord and keeping his commandments; also as I realize that happiness in old age consists of reviewing a life devoid from great sins; the gratification of noble desires manfully carried out; and finding that my life up to this time has not been as I should like it to have been: I lay down the following regulations by which I shall try to conduct my life hereafter; to which end may the Lord Almighty, my Creator, help me. "1st. That religion, the science of sciences, be made my chief concernment throughout life. "2nd. That I will daily pray to God in secret. "3rd. That I will daily reflect upon God and his attributes and try to become like him. "4th. That I will receive Light, Wisdom or Knowledge, wherever or however it may be offered. "5th. That I never be ashamed to acknowledge my principles, beliefs and religion when I once become fully convinced of their correctness. "6th. That I never lose one moment of time but improve it. "7th. That I maintain strict temperance in eating and drinking. "8th. That I never do anything that I would not do were it the last hour of my life. "9th. That I daily read the word of God, that I may learn his will and that I may be comforted, strengthened and encouraged by so doing. "10th. That in any narrations I speak nothing but the pure and simple verity. "11th. That I always do that which I think is my duty and for the best good for my fellow beings. "12th. That I live with all my might while I do live, that I may not die a living death. "13th. That I never by word or manner try to force my opinions on others but that I simply state them and offer my arguments against others! "14th. That I seek to overcome the habit of being quick tempered, loud speaking, impatient motions and whatever might offend my fellowmen and hurt me. "15th. That I never for a moment forget my duty towards my mother, she who has made me who I am and who will make what I will become, she who has spent the better portion of her life in my behalf and to whom I owe all the honor, respect, and affection that I can give; also that I always remember my duties toward my brother and all my friends and relations. "16th. That I complete every task which I begin; also that I carefully consider my purpose and its results before taking upon me any duty. "17th. That I always remember that the men and women I meet are my brothers and sisters and that I look to the beam in my own eye before attempting to remove the mote in my fellow’s eye." "8th. That I never do anything that I would not do were it the last hour of my life." This is an interesting way to establish priority and value, and to maintain focus on things that matter most. "12th. That I live with all my might while I do live, that I may not die a living death." Live with enthusiasm and eagerness for your whole life; don't ever "die a living death" by fading slowly away. "15th. That I never for a moment forget my duty towards my mother." This was the longest item of the list, but showed the loving dedication this young man felt for his widowed mother who had sacrificed much for him. He fulfilled this commitment. It's fascinating to consider this list. It's even more fascinating to try to write one for ourselves, regardless of our position in life (young and eager with a whole life ahead, or older and more experienced). Labels: goals, resolutions, Widtsoe John A. 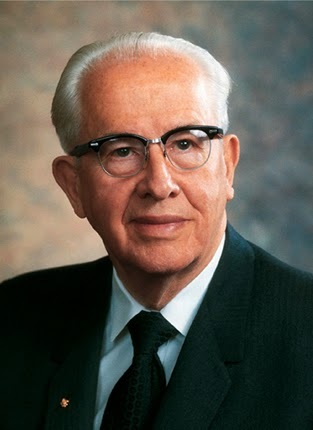 President Ezra Taft Benson (1899-1994) was called to the Quorum of Twelve Apostles in 1943, and served as the 13th President of the Church from 1985 until his death in 1994 at age 94. "Let your minds be filled with the goal of being like the Lord, and you will crowd out depressing thoughts as you anxiously seek to know him and do his will. 'Let this mind be in you,' said Paul. (Philip. 2:5.) 'Look unto me in every thought,' said Jesus. (D&C 6:36.) And what will follow if we do? 'Thou wilt keep him in perfect peace, whose mind is stayed on thee.' (Isa. 26:3.)" Many others have noted the Savior's example as described by Luke, growing in categories that are mental, physical, spiritual, and social. Those are all worthy areas of consideration for us as we evaluate our life and try to grow and improve. Ultimately, our goal is to follow the Lord's example and strive to become like Him in every way. As we actively pursue that goal, we will be blessed in many ways, every step of the way! "Progress is measured by milestones. What many good people lack are markers that might tell them how they are actually doing. Goals can become a ritual or a fetish, but in the right measure they can give us some much needed reference points. No wonder some seem discouraged! Minus such milestones, we often feel 'minus' in our lives. "The regular setting of short-term as well as long-term goals is a helpful discipline. Most of us have grand, long-term goals, but we fail to support these goals with specific, short-term goals. I have what I call my 'Almost Agendum' of things that, too often, I intend to get done and want to get done. Indeed, I 'almost' get these done. Now, by selecting just one such goal per week, there is more momentum and specific achievement. 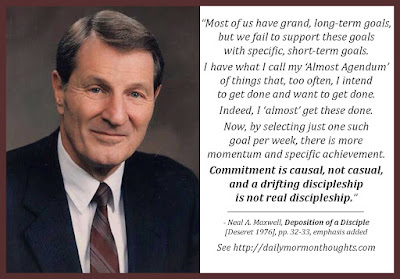 Commitment is causal, not casual, and a drifting discipleship is not real discipleship. "Isn't it interesting how many rich resolves we lay down at the edge of sleep, failing to take them up again with wakefulness? How many specific things go undone because forgetfulness covers what a pencil and paper could have made into a prickly reminder? In this vast zone of good intentions, we house our 'almost adventures,' some of the great experiences of our lives that nearly happened. We say, of course, we are weary. Often this is true. But aren't we glad Jesus mounted the cross even though he was indescribably weary? 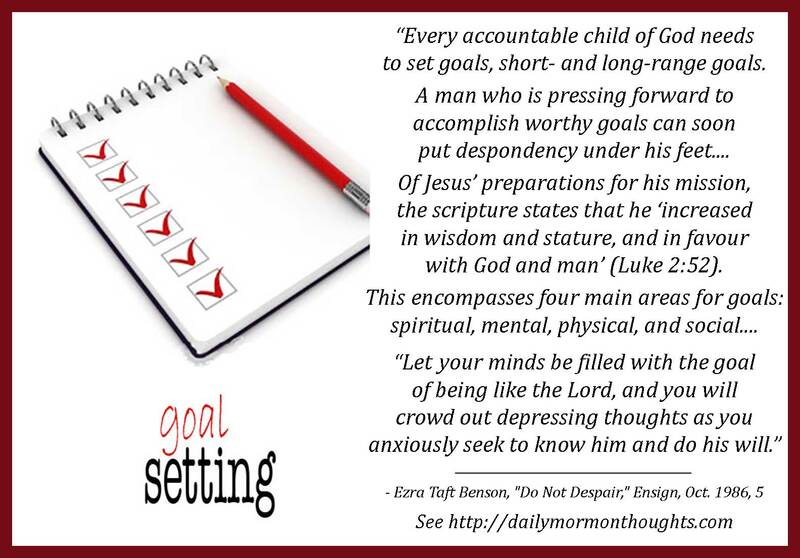 "Goals, to be most helpful, need to be or include (1) personal or individual goals, (2) specific goals (a vague goal is no goal at all), and (3) a specific timetable for accomplishment. 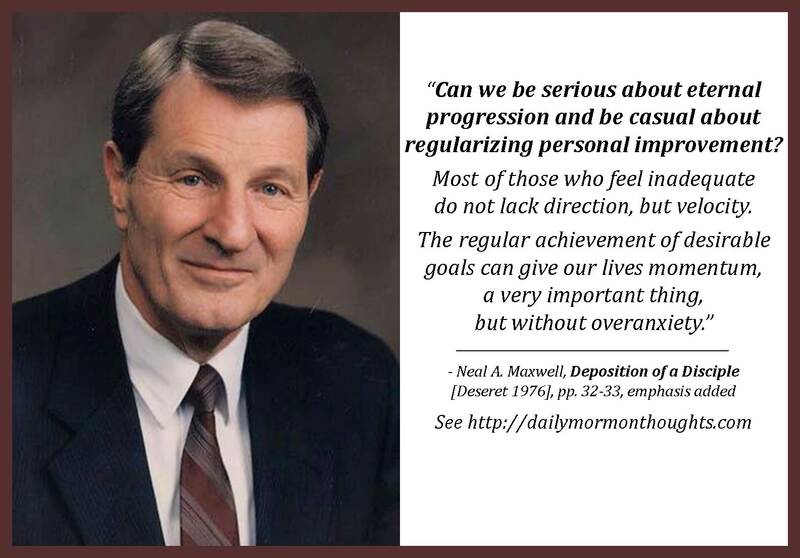 Then there are these added elements often neglected: the goal should be (4) written (it is less apt to be forgotten and can 'vex' us properly); (5) 'registered' (if appropriate, with certain others who can urge us on to its accomplishment); and (6) do-able or attainable. "I find that goal setting, when done this way, leads to goal achieving. The chronic failure to achieve goals lowers self-esteem. Show me a failure to achieve a goal, and usually I can show you the violation of one or more of the above criteria. Imposed goals, vague goals, and unrealistic goals tend to produce only partial successes and outright failures. "Can we be serious about eternal progression and be casual about regularizing personal improvement? Most of those who feel inadequate do not lack direction, but velocity. The regular achievement of desirable goals can give our lives momentum, a very important thing, but without overanxiety." Many of the books of teachings of general authorities are compilations of their conference talks and other public addresses. 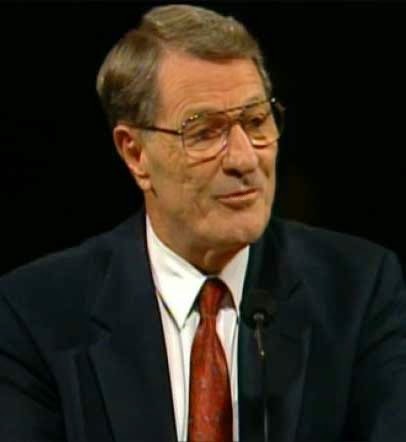 But Elder Maxwell wrote many books that contain original material, all in his profound and deeply thoughtful style. This book Deposition of a Disciple was released just as I started my mission, and I had a copy of it with me that I studied and marked up during those two years. 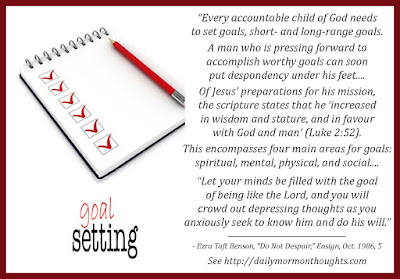 It contains many wonderful insights, such as this section on goal-setting. Being committed to our efforts to grow and progress is such an important key! 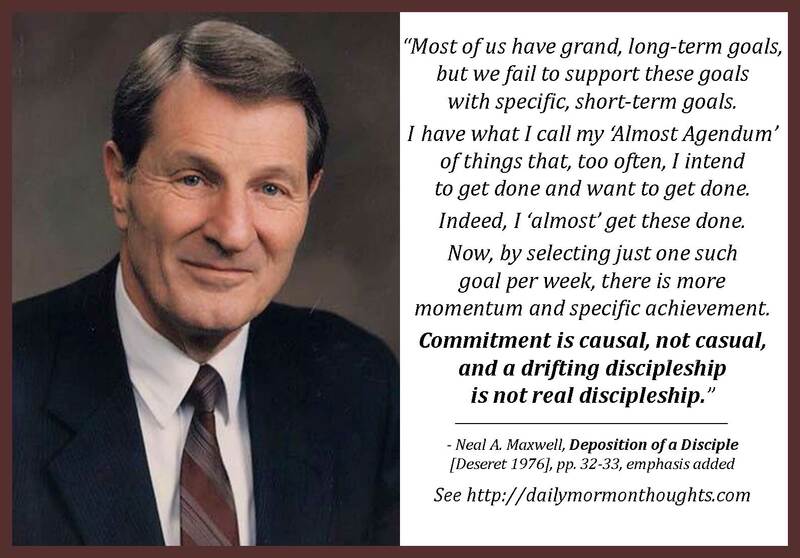 I appreciated Elder Maxwell's counsel on six ways to make goals more effective. Goal-achieving is so much more important than goal-setting, and the right approach and principles can help bridge that gap for us. "Challenge comes as testing from a wise, knowing Father to give experience, that we may be seasoned, mature, and grow in understanding and application of His truths. When you are worthy, a challenge becomes a contribution to growth, not a barrier to it. Yet no matter what the source of difficulty and no matter how you begin to obtain relief—through a qualified professional therapist, doctor, priesthood leader, friend, concerned parent, or loved one—no matter how you begin, those solutions will never provide a complete answer. The final healing comes through faith in Jesus Christ and His teachings, with a broken heart and a contrite spirit and obedience to His commandments. That is why human reaction to challenge in life that engenders hatred, despondency, distrust, anger, or revenge must be supplanted by the tender mercies of a loving Father in Heaven and His Beloved Son. "When anguish comes from evil acts of others, there should be punishment and corrective action taken, but the offended is not the one to initiate that action. Leave it to others who have that responsibility. Learn to forgive; though terribly hard, it will release you and open the way to a newness of life. Time devoted by one injured to ensure the offender is punished is time wasted in the healing process. "In summary, do what you can do a step at a time. Seek to understand the principles of healing from the scriptures and through prayer. Help others. Forgive. 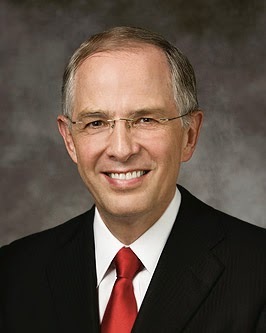 'Submit cheerfully and with patience to all the will of the Lord' (Mosiah 24:15). Above all, exercise faith in Jesus Christ." Challenges in life often come to us as tests, "that we may be seasoned, mature, and grow in understanding and application of His truths." This is a critical belief; if we truly hold to it and strive to be worthy, we will have perspective to pass through any challenge with faith in Jesus Christ and confidence in the results. That does not mean challenges become easy. We still need to seek relief, as Elder Scott notes, through a variety of sources, professional and ecclesiastical. Or sometimes the support of a family member or friend. 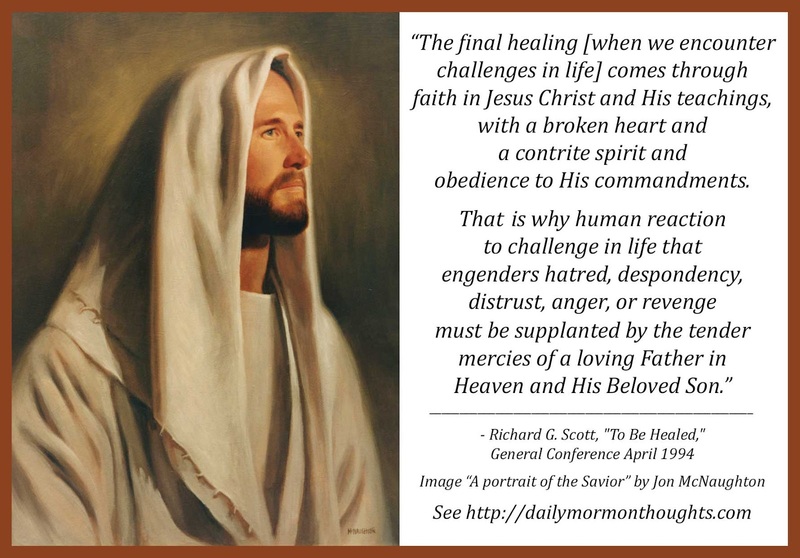 If, instead of seeking healing, we allow ourselves to become embittered or depressed, angry or seeking revenge, we will miss the healing power of the Savior's atonement. And sometimes we are hurt by the wrongful, evil actions of others. Those are the times when we have to have even greater faith as we forgive and trust in the proper process to impose corrective action. Labels: Atonement, challenges, faith, forgiveness, healing, Scott Richard G.
"During our time here on earth, we have been charged to develop the natural gifts and capabilities Heavenly Father has blessed us with. Then it will be our opportunity to use these gifts to become teachers and leaders of God’s children wherever they may be found on earth. To exercise these gifts, we must develop a purity of heart. "The world needs people who can keep their word, who have a code of honor, and who can finish a task and endure to the end. 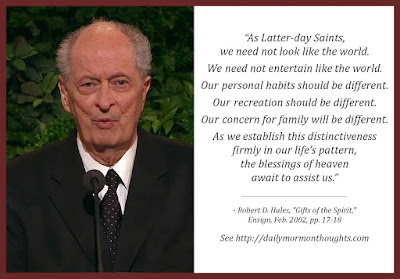 "As Latter-day Saints, we need not look like the world. We need not entertain like the world. Our personal habits should be different. Our recreation should be different. Our concern for family will be different. As we establish this distinctiveness firmly in our life’s pattern, the blessings of heaven await to assist us. "How can we accomplish this goal? I know there is a loving Heavenly Father who wishes to help. He has made available sacred gifts—even the gifts of the Spirit. As we exercise and magnify these gifts, we will be able to accomplish the callings and responsibilities that will come into our lives." Elder Hales suggests that finding and developing our personal spiritual gifts will help to bring out our distinctiveness from the world and allow us to serve and bless those around us. 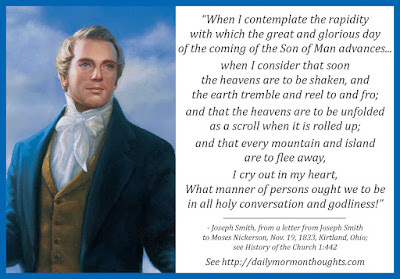 Joseph Smith (December 23, 1805-June 27, 1844) was given the apostolic authority when the Church of Jesus Christ was organized on April 6, 1830 and he was designated the first president of the church at age 24. He was martyred in 1844 at age 38. Perhaps the need for us to be actively prepared, to focus on "all holy conversation and godliness," is less a matter of timing than it is of urgency to participate actively and boldly in the events of our mortal experience. In the midst of a world filled with confusion and calamity, we must become islands of holiness. His disciples should be beacons of lights to the world. Our faith will give us the courage to persevere in spite of whatever comes to us. "In homes throughout the modern world, stockings are still 'hung by the chimney with care in hopes that St. Nicholas soon would be there' ('A Visit from St. Nicholas,' Clement Clarke Moore). But, oddly enough, one stocking seems to be missing. Perhaps it has never even been considered. I speak of a stocking for the Babe of Bethlehem. Of all people central to the Christmas scene, only His stocking seems to have been forgotten. It doesn’t seem quite right, inasmuch as it is His birthday that we are celebrating. "Just as there was no room for the Christ child at the inn at the time of His birth, with so many people, there is no place for Him in their hearts. The world He came to save has been so filled with trivia that little room has been left for the Lord and His righteousness. Many people have made room for sports and recreation, trinkets and toys, but the Prince of Peace—the Savior of mankind—is often forgotten. "At Christmastime we exchange gifts, but what have we done to show our appreciation to Him who created the entire earth with all of its beauty and abundance? How could we ignore Him who gave us life and all that sustains life? These priceless gifts come from Him. Wouldn’t it be nice if we could improve our ways—as a gift to Him at Christmastime? 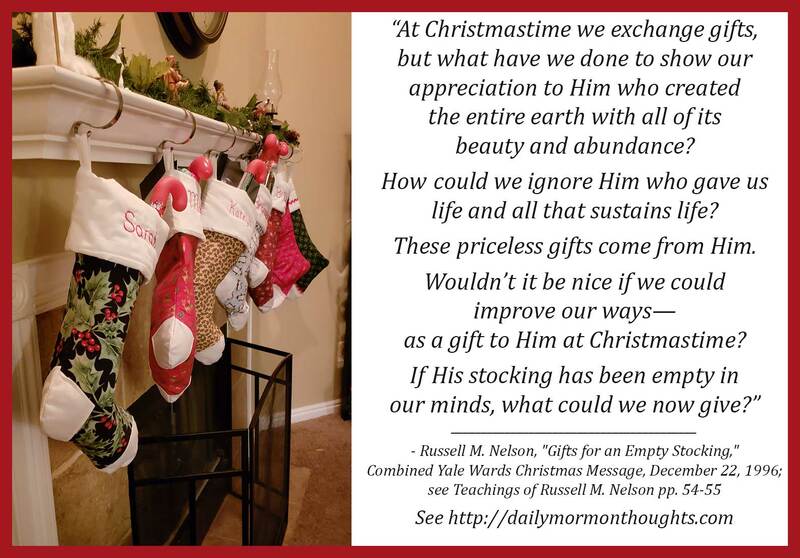 If His stocking has been empty in our minds, what could we now give?" 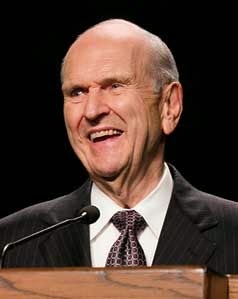 President Nelson made an interesting suggestion in this Christmas message. It's so easy to forget the Savior in the midst of our holiday commotion, leaving "little room... for the Lord and His righteousness." Perhaps we need more visual reminders? 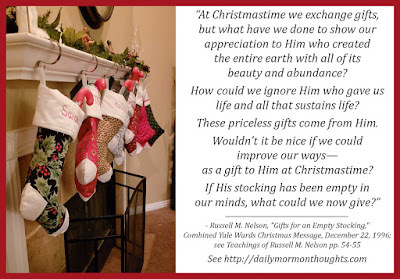 When we hang our stockings in order to share gifts with one another, we could consider hanging a stocking for the Savior and ponder how we might offer gifts to Him. The Savior's gifts to us are so abundant and continuous; how can we show appreciation to Him in return? The simple suggestion President Nelson makes is to find a way to "improve our ways" as an offering of appreciation. May we all follow this wise counsel and seek to be better disciples as we show our true gratitude to the Babe of Bethlehem. "We remember that during the meridian of time a bright, particular star shone in the heavens. Wise men followed it and found the Christ child. 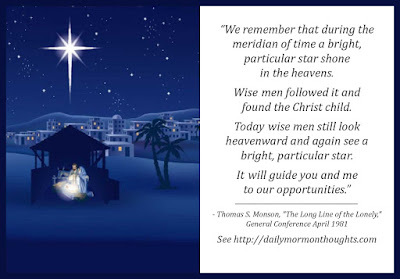 Today wise men still look heavenward and again see a bright, particular star. It will guide you and me to our opportunities. The burden of the downtrodden will be lifted, the cry of the hungry stilled, the lonely heart comforted. And souls will be saved—yours, theirs, and mine. "May we see that special star, may we hear that same salutation, is my humble prayer." The quote by Emerson that President Monson mentions is a thought-provoking one. So often we give gifts that are "trinkets"—items that may be useful or attractive or desirable, but in reality have no lasting value. Present Monson suggests that perhaps better gifts are in service that is given to others, time that we might devote to help those in need. 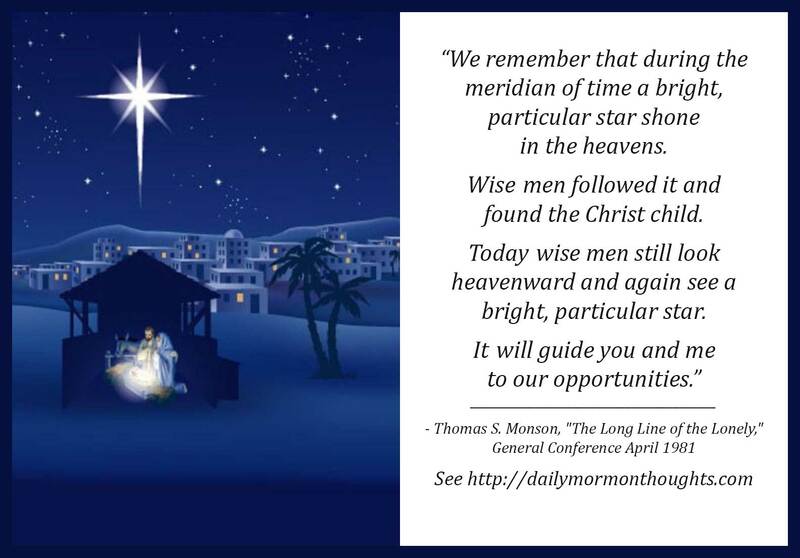 Just as the light of the star of Bethlehem led wise men to the Savior where they were able to share their gifts, President Monson suggests a light from above will lead each of us to the place where we can best serve and bless those who need it most. 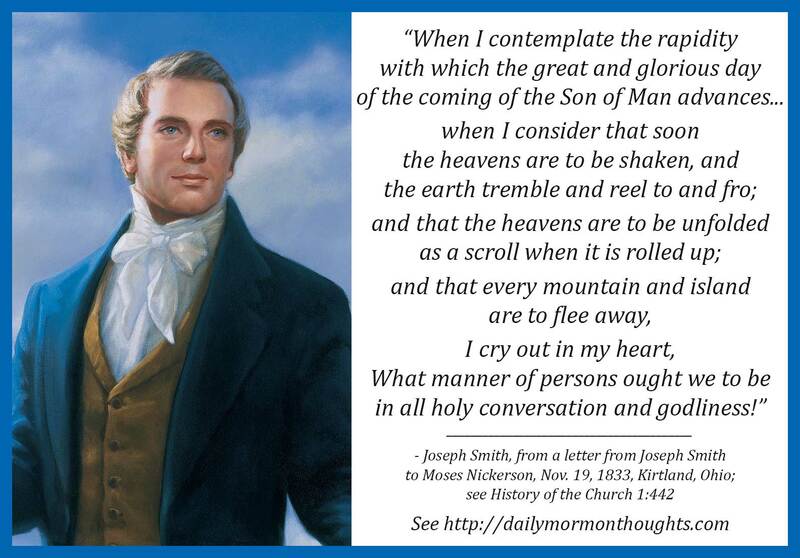 Our responsibility is to "look heavenward" and then to be willing to follow the promptings that will lead us. 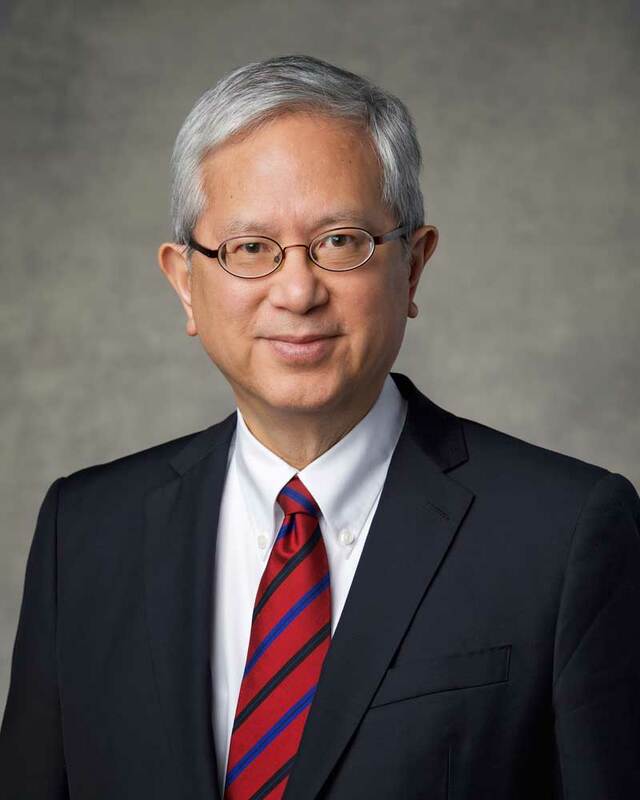 Elder Gerrit W. Gong (born December 23, 1953) was called as a Seventy in April 2010, then to the Presidency of the Seventy in October 2015. 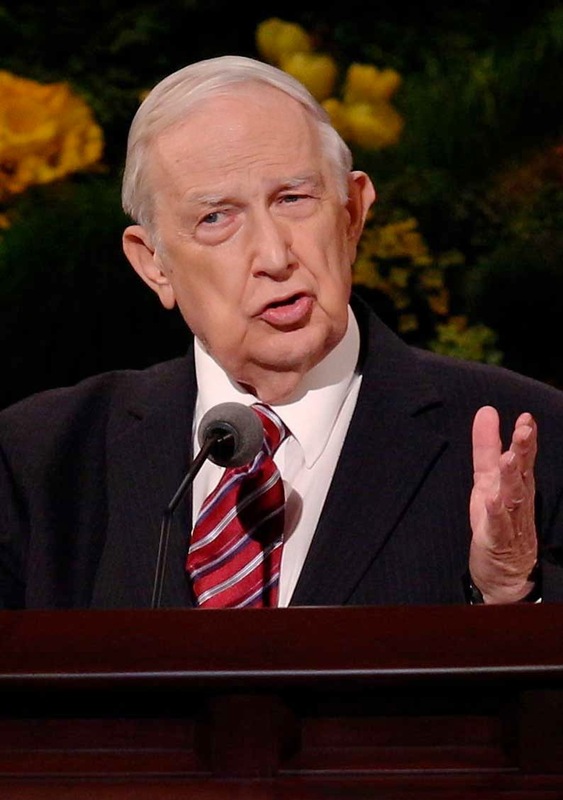 He was sustained to the Quorum of Twelve Apostles in April 2018. "In 2018 we are delighted to learn from our own decisions. We are learning that the battle to get up in the morning is won or lost the night before. We are learning that personal and roommate prayers, having some meals together, putting a copy of the Ensign in a visible place, going to the holy ­temple—and all other regular holy habits—change our hearts and our living environments. "Attending BYU devotionals and forums is a decision not to let school get in the way of education. Serving in our ward helps us learn from those around us and from the Holy Ghost how to love God and minister. Coincidentally, in such sociality, because we are learning to see others through spiritual eyes (see 1 Samuel 16:7), we make wonderful friends and, in some cases, find our eternal companion. "On occasion, our Heavenly Father helps us understand how time and eternity can come together in futures we cannot see. In our hearts and minds, the Holy Ghost tells us things we need to but would not otherwise know. (See D&C 8:2; Alma 26:22; 1 Corinthians 2:10–11.) In inspiring, protecting, and guiding us, the Holy Ghost fulfills the promise that 'all things work together for good to them that love God' (Romans 8:28; see also D&C 90:24; 98:3; 105:40). "In a loaves and fishes world, faith, compassion, and blessings are unlimited. So are God’s grace and capacity to embrace, magnify, and heal, just as our patriarchal blessings promise. 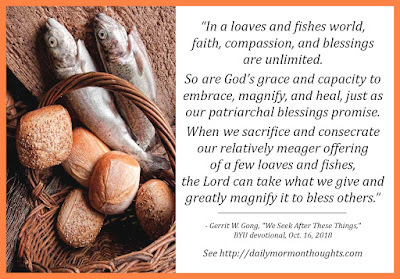 When we sacrifice and consecrate our relatively meager offering of a few loaves and fishes, the Lord can take what we give and greatly magnify it to bless others." Elder Gong was employed in BYU's administrative department for many years before being called as a general authority, so it must be especially enjoyable to him to return and address the students on campus. In this address shared a earlier this year, he talked to them about what they might be thinking in the year 2040 as they look back on the year 2018. The point was that their state or condition in the future will depend on the decisions they make now. Living an increasingly "consecrated, sacramental life"
Learning to recognize how God multiplies blessings in this "loaves and fishes world" is a part of our spiritual development. As we make our "relatively meager" contribution, He will "greatly magnify" our portion, not just for our personal benefit, but so that we have much to give to others. "For each of you may this be a merry Christmas. But more importantly, I wish for each of you a time, perhaps only an hour, spent in silent meditation and quiet reflection on the wonder and the majesty of this, the Son of God. Our joy at this season is because He came into the world. 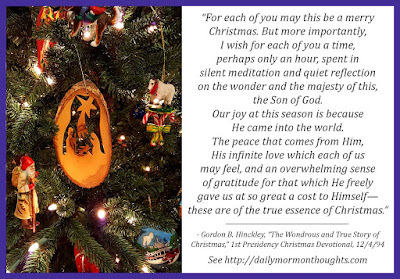 The peace that comes from Him, His infinite love which each of us may feel, and an overwhelming sense of gratitude for that which He freely gave us at so great a cost to Himself—these are of the true essence of Christmas." President Hinckley had many opportunities to share his feelings about the Christmas season as he spoke in First Presidency Christmas Devotionals through many years, first as a counselor and then as Church President. His messages were often personal and poignant as he reflected on his life of worship and service. In this example, he recognized the best the Christmas season has to offer as we all feel our hearts softened and attitudes changed, blessed by a sense of love that is not felt in the same way at any other time of the year. This is such important counsel. 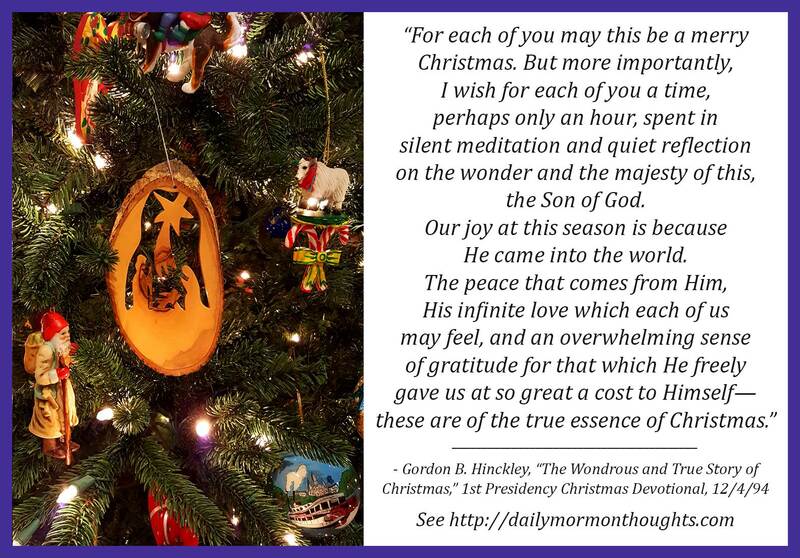 In the midst of the rush of the season, it is critical that we take at least a few minutes of personal time to spend "in silent meditation and quiet reflection" on the true meaning of the season and the blessings that come to us because He came to the world. Truly our joy and peace in the season will grow as we acknowledge Him whose birth and life bring so many blessings to us. The "true essence of Christmas" is that "overwhelming sense of gratitude" for all He gave to us so freely. "How can we give to the Lord? What shall we give to him? Every kind word to our own, every help given them, is as a gift to God, whose chief concern is the welfare of his children. Every gentle deed to our neighbor, every kindness to the poor and suffering, is a gift to the Lord, before whom all mankind are equal. Every conformity to the Lord’s plan of salvation—and this is of first importance—is a direct gift to God, for thereby we fit ourselves more nearly for our divinely planned destiny. 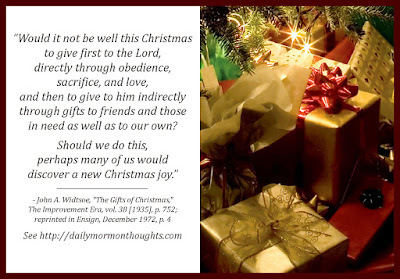 "Would it not be well this Christmas to give first to the Lord, directly through obedience, sacrifice, and love, and then to give to him indirectly through gifts to friends and those in need as well as to our own? Should we do this, perhaps many of us would discover a new Christmas joy." This is a fascinating short talk by Elder Widtsoe—I recommend following the link and reading the full article. He encourages us to ponder the act of gift-giving, and particularly to think about how our gifts to one another can demonstrate our love for the Lord. Since He cares so deeply for each of His children, any act of kindness or service we render to others is also an act of kindness towards Him. More importantly, every act of obedience to God is a "direct gift to God" as we thereby grow and prepare to serve more completely. This final paragraph is a beautiful summary of Elder Widtsoe's philosophy. First, we give directly to God as we show love, sacrifice, and obedience; then we give indirectly to Him as we offer our loving contributions to one another. Through this process, we truly "discover a new Christmas joy." Labels: Christmas, gifts, joy, obedience, Widtsoe John A. President Heber J. Grant (1856-1945) was ordained an apostle in 1882 when he was 25 years old. 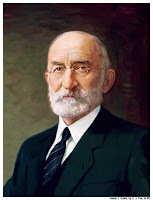 He served as president of the Church from 1918 until his death in 1945 at age 88. 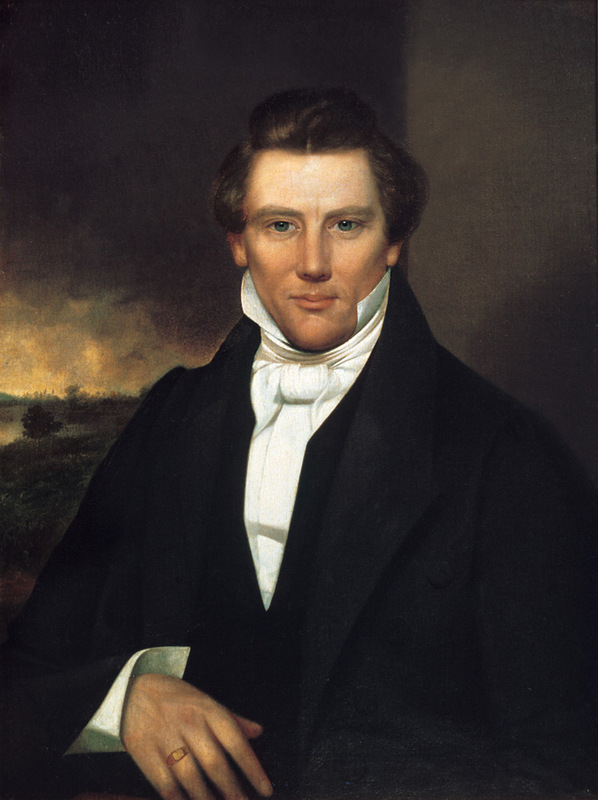 His tenure as president lasted over 26 years; only Brigham Young had a longer term (over 29 years). "The birth of Christ our Lord was more than an incident, it was an epoch in the history of the world to which prophets had looked forward, of which poets had sung, and in which angels joined their voices with mortals in praise to God. It was the day decreed and foreordained by our Father who is in heaven when He would manifest Himself to His children, who are here upon earth, in the person of His Only Begotten Son. "Whether or not the 25th day of December is the proper date of the birth of Christ, our Lord, matters little. We join with other Christian people in celebrating it as such and if we observe it in the true spirit of the Master, renewing the covenant which we have made that we are willing to take upon us His name, and keep the commandments which He has given, our offering will be accepted. "He came that man might see and know God as He is, for He bore witness that whoever had seen Him had seen the Father, for He was the express image of His person. "He came to teach us the character of God, and by example and precept pointed out the path which, if we walk in it, will lead us back into His presence. He came to break the bands of death with which man was bound, and made possible the resurrection by which the grave is robbed of its victory and death of its sting." President Grant suggests that an important part of the Christmas celebration would be to "[renew] the covenant which we have made that we are willing to take upon us His name, and keep the commandments." 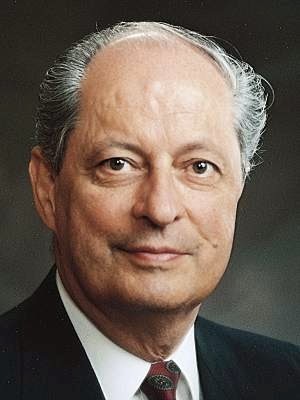 One of the purposes of His coming to earth was to "teach us the character of God" by precept and example, and as we follow that example, it "will lead us back into His presence." "We celebrate the birth of the Lord Jesus Christ at this season of the year. How grateful we are that the baby Jesus was born. His birth and life and death were the greatest of all. He died a propitiation for our sins to open the way for our resurrection, to point the way to our perfection of life, to show the way to exaltation. He died purposefully, voluntarily. His birth was humble, his life was perfect, his example was compelling; his death opened doors, and man was offered every good gift and blessing. 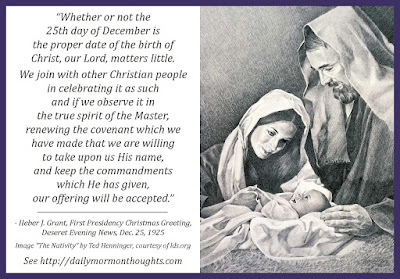 "It is well that at this time of the year we pour out our hearts in prayers of love and thanksgiving to our Father in Heaven: We are grateful, Father, that we know so positively that thou dost live; that we know the babe born in Bethlehem was in reality thy Son; grateful that thy plan of salvation is real, workable, and exalting. We know thee, Lord. We love thee, and will follow thee. We pledge again our lives, our all, to thy cause. "At this beautiful season, we invite all people everywhere to join us in our prayers of joy and love and gratitude for the life and teachings of our Lord and Savior, our Redeemer, Jesus Christ, the Son of God." As we enjoy the spirit of the season of the year in which we celebrate the Savior's birth, President Kimball reflects on the blessing it is to have that knowledge: "His birth was humble, his life was perfect, his example was compelling; his death opened doors, and man was offered every good gift and blessing." We were offered every good gift and blessing; we need only use our God-given agency to claim them. The greatest of all the blessings offered to us include immortality and eternal life; the first, the gift of living forever beyond this life, is wholly and freely given to all mankind. The second, the quality of life we live in the eternities, is what we must act to claim along with His gift to us. From time to time we hear our prophetic leaders offer prayers to God as part of their discourses, and this is a beautiful example. 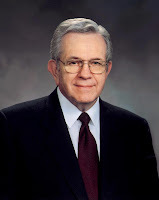 President Kimball shows us how to "pour out our hearts in prayers of love and thanksgiving" for the knowledge of God's existence and of the divine plan of salvation He offers to us through His Son. The spirit of gratitude is followed by a spirit of re-commitment to act in obedience and share His love. Truly, as we ponder the Christmas season, we should feel profoundly grateful and moved to join in that prayer "of joy and love and gratitude for the life and teachings of our Lord and Savior, our Redeemer, Jesus Christ, the Son of God." How blessed we truly are! 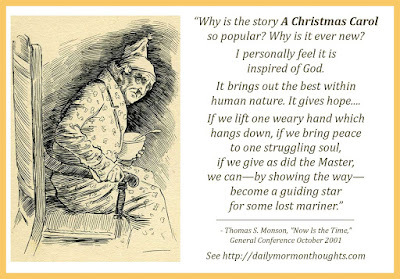 "Why is the story A Christmas Carol so popular? Why is it ever new? I personally feel it is inspired of God. It brings out the best within human nature. It gives hope. It motivates change. We can turn from the paths which would lead us down and, with a song in our hearts, follow a star and walk toward the light. We can quicken our step, bolster our courage, and bask in the sunlight of truth. We can hear more clearly the laughter of little children. We can dry the tear of the weeping. We can comfort the dying by sharing the promise of eternal life. If we lift one weary hand which hangs down, if we bring peace to one struggling soul, if we give as did the Master, we can—by showing the way—become a guiding star for some lost mariner. "Because life is fragile and death inevitable, we must make the most of each day." The blessings that come from an unselfish life are rich and deep. 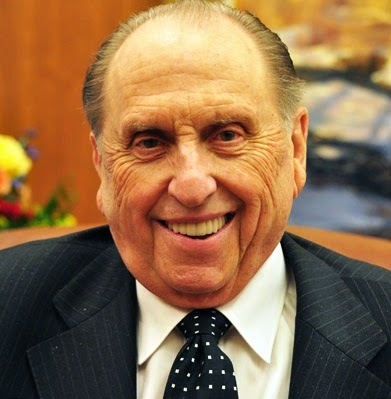 President Monson lists ways that a life of service is magnified, filled with joy and laughter and opportunities to ease suffering and pain. 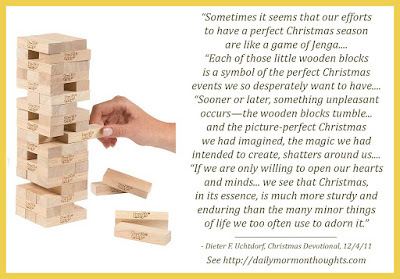 We not only follow the star, but we "become a guiding star" for others as we live that kind of life..
"Sometimes it seems that our efforts to have a perfect Christmas season are like a game of Jenga—you know, the one played with small wooden blocks that are precariously stacked up to a tower. As we try to increase the height of the tower, we pull out one wooden block before we can place it on top of the delicate structure. "Each of those little wooden blocks is a symbol of the perfect Christmas events we so desperately want to have. We have in our minds a picture of how everything should be—the perfect tree, the perfect lights, the perfect gifts, and the perfect family events. We might even want to re-create some magical moment we remember from Christmases past, and nothing short of perfection will do. "Sooner or later, something unpleasant occurs—the wooden blocks tumble, the drapes catch fire, the turkey burns, the sweater is the wrong size, the toys are missing batteries, the children quarrel, the pressure rises—and the picture-perfect Christmas we had imagined, the magic we had intended to create, shatters around us. As a result, the Christmas season is often a time of stress, anxiety, frustration, and perhaps even disappointment. "But then, if we are only willing to open our hearts and minds to the spirit of Christmas, we will recognize wonderful things happening around us that will direct or redirect our attention to the sublime. It is usually something small—we read a verse of scripture; we hear a sacred carol and really listen, perhaps for the first time, to its words; or we witness a sincere expression of love. In one way or another, the Spirit touches our hearts, and we see that Christmas, in its essence, is much more sturdy and enduring than the many minor things of life we too often use to adorn it. "In these precious moments we realize what we feel and know in our heart—that Christmas is really about the Christ." Instead of being consumed by the superficial external details of the season, President Uchtdorf counseled us "to open our hearts and minds to the spirit of Christmas" and allow the little things to touch our hearts. Then we will be reminded that the real meaning and message of the Christmas season is not so easily toppled; it lies in our faith and belief about the Savior. 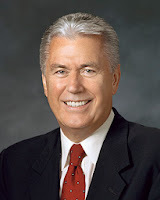 Labels: Christmas, Uchtdorf Dieter F.
President Boyd K. Packer (1924-2015) served as an Assistant to the Quorum of the Twelve (a position that no longer exists) from 1961 to 1970, when he was called to the Quorum of Twelve Apostles. 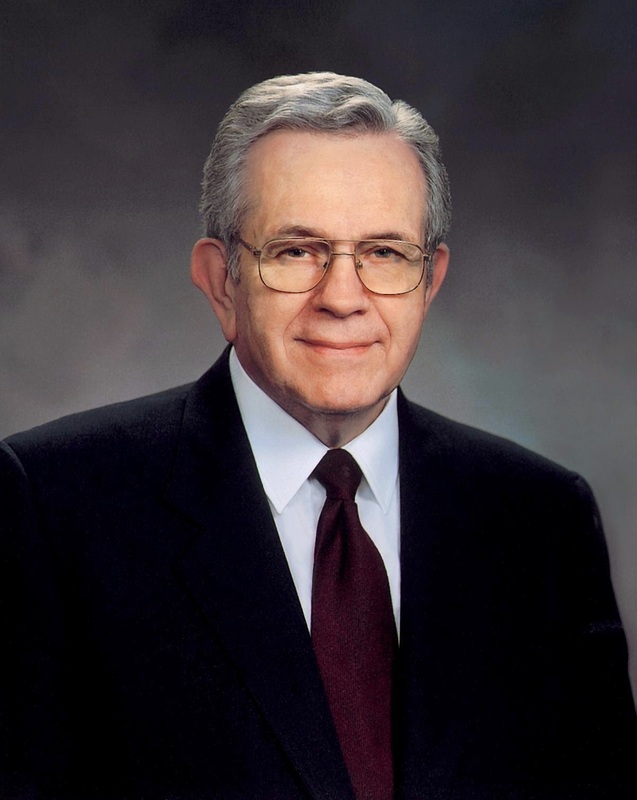 He served as president of that Quorum from 1994 until his death in 2015 at age 90. "Now another generation of youth comes forward. We see a strength in them beyond what we have seen before. Drinking and drugs and moral mischief are not a part of their lives. They band together in study of the gospel, in socials, and in service. "They are not perfect. Not yet. They are doing the best they can, and they are stronger than the generations that came before. "As the Lord told Oliver Granger, 'When [they fall they] shall rise again, for [their] sacrifice shall be more sacred unto me than [their] increase' (D&C 117:13). 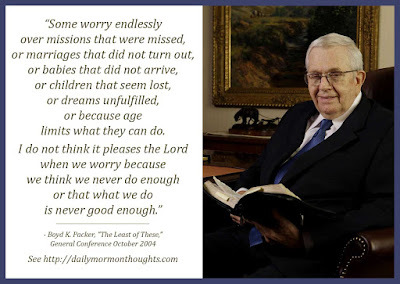 "Some worry endlessly over missions that were missed, or marriages that did not turn out, or babies that did not arrive, or children that seem lost, or dreams unfulfilled, or because age limits what they can do. I do not think it pleases the Lord when we worry because we think we never do enough or that what we do is never good enough. "Some needlessly carry a heavy burden of guilt which could be removed through confession and repentance. 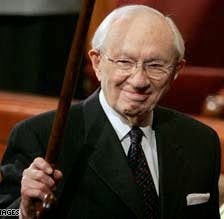 "The Lord did not say of Oliver, '[If] he falls,' but 'When he falls he shall rise again' (D&C 117:13; emphasis added)." That's a powerful message; it does not please God when we dwell on the mistakes, missed opportunities, or apparent failures of our past; or if we consider ourselves inadequate or insufficient to serve Him adequately. "I do not think it pleases the Lord." We must put the things of the past behind us and move forward with faith, hope, and confidence in Him. "I have thought at times how different my children’s lives are from my own growing up on a small family farm in southern Idaho in the 1950s and 1960s. Long days building a fence with my father, silent hours of moving irrigation pipe in potato fields, a home with one television that received only three channels, no computer, no MP3s, no mobile phones, few trips beyond nearby towns, few distractions, and much time with family—these were the building blocks of many of my generation. "In today’s world we must provide quiet, reflective times for our children and teach them how to listen to the still, small voice. With all the blessings our modern age has given to us, let us not give up the things that promote the workings of the Holy Ghost: time alone to pray, ponder, meditate, and read the scriptures; and time with family undisturbed by noise, distractions, and too many activities." Life truly has become far more complex in the recent generation. Like Elder Andersen, I remember the quieter, simpler times of the past when there were far fewer distractions and much more time to think and to listen. It's a subtle but dangerous trend that makes us think we have to fill every moment with noise, stimulation, activity, or entertainment. I love to hike to find my quiet time, but I'm often distressed to see young people with music blaring loudly from speakers attached to their packs even in that setting! 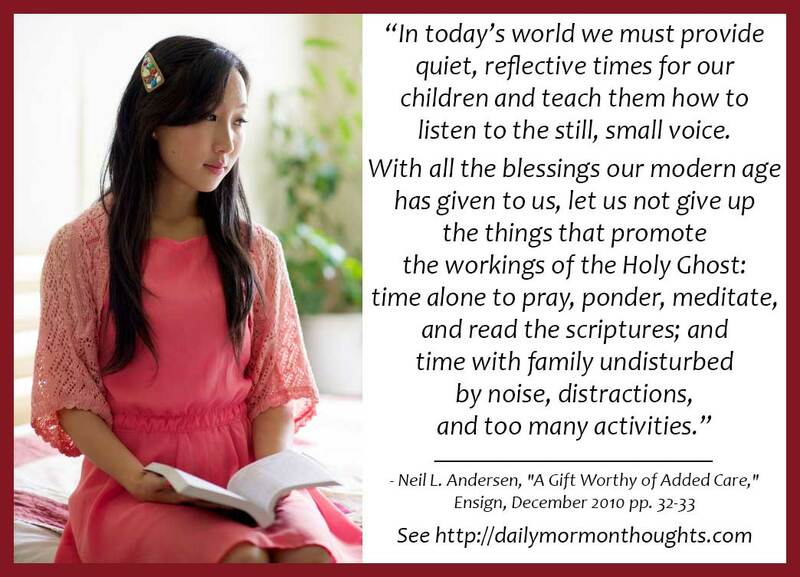 And as Elder Andersen notes, back then we tended to have "much more time with family" than now, which is perhaps the most damaging trend of all. So how do we combat these negative influences? It takes effort, commitment, scheduling, and cooperation to make this happen—to "provide quiet, reflective time" in our homes and families. We must not stop trying. This "time alone" with the Spirit truly can bless us far more than any technology or modern distraction.